Learning ,Contributing and Developing: Pharma , Doctors and Games : New tools to engage ? Pharma , Doctors and Games : New tools to engage ? We all have been reading that Pharma is vying for new means to reach and engage customers under the backdrop of dwindling access to doctors across the world. Social Media in Pharma is quite a hot topic ! It consistently remained "Hot" for the last 2 Years and may remain hot till Pharma embarrasses the new modes of communication. Are Games going to be the new way ? Watch a new game "Fever Frenzy". Its for everyone not just for doctors. This is the brief description of game given on the iTunes Apple store. 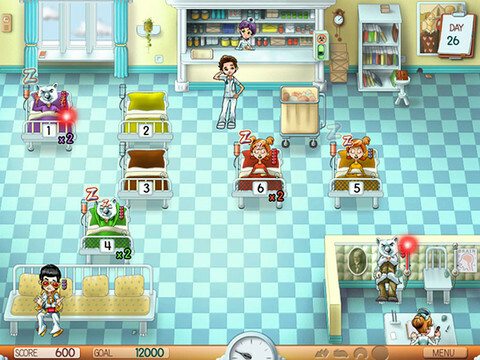 Diagnose and treat weird patients in this fun game of speed and strategy. Cure bipolarbear disorder, baboonic plague, mother goose bumps, 3rd degree sideburns and much more. These uniquely strange patients change appearance (for the better) when you successfully discharge them from the hospital. ★ Diagnose, treat, and cure patients with the dreaded polka pox and more in this wacky time management game! ★ Master 40 challenging levels! ★ Explore 4 different hospital settings, e.g., safari hospital, mental hospital, and more. ★ Search for a cure in the DNA mini-game!